Migori Missions: Boniface says "It's the worst he's ever seen." Almost one third of Kenya has not seen rain for seven months! 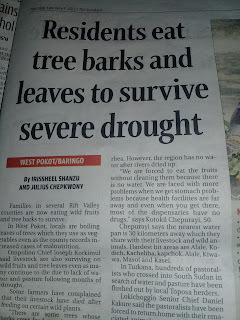 It has affected all crops and livestock. Water supplies are depleted and food is very scarce. 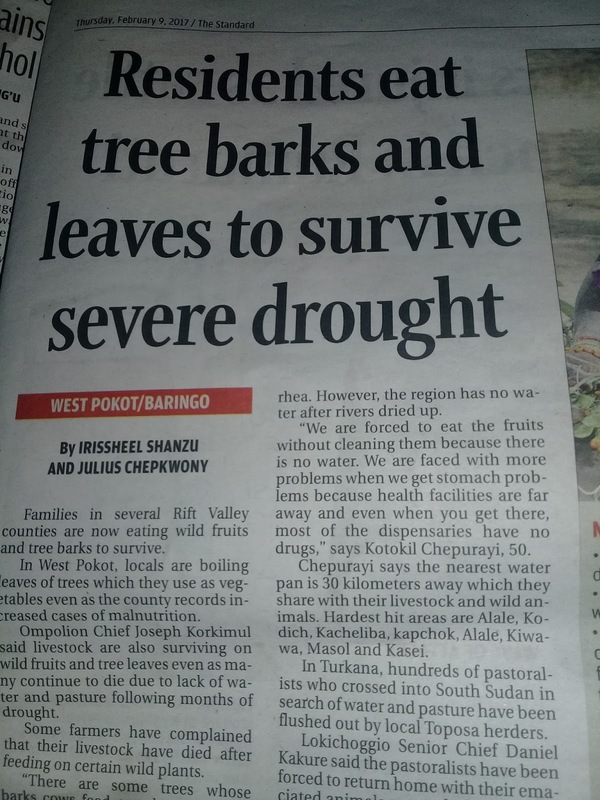 They have had to ration water in many areas including Migori. The situation is even worse in his dad's village of Osinga where even the contaminated water is scarce. Cholera has broken out and many are sick and dying. Boniface carries water in a container every morning by motor bike to his dad's to sustain them and the home of the elderly. Things are very difficult for the ministry at this trying time. Yesterday Feb. 14, 2017 they were able to treat 3 elderly with cholera and save them, but this morning 2 of the villagers were not able to be helped and succumbed to their illness. Boniface is desperately asking for your help. Any amount given will help with food, water, and medicine.